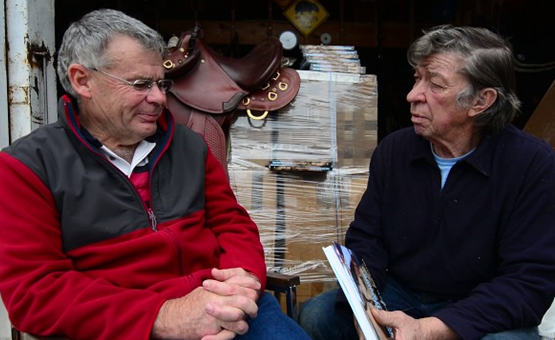 It’s interesting to read of the problems people have with their horses and the advice given. In a lifetime of working with horses, the problems haven’t changed and unfortunately, the thinking about horses hasn’t changed much either. People think they need to make a horse ‘soft in the face’ or ‘control his hindquarters’ or chase him in a round pen or ‘move his feet’ (I wonder how else a horse can move). Instead of thinking of a horse as something mechanical, with different parts to work on, everyone must remember that a horse is a living, breathing animal. You can’t actually teach a horse’s mouth anything. Nor can you teach his nose, his neck, his ribs, his hindquarters or his ears. You can only teach his mind. Regardless of his age or level of training, every horse must be relaxed and confident before he can learn. Horses can’t think when they’re frightened, terrified or confused. Before you read any further please watch this video on Western Horseman’s website. The horse on the video is not ‘bad’ and he does not ‘want to’ buck. Bullet bucks because he’s terrified of the saddle. 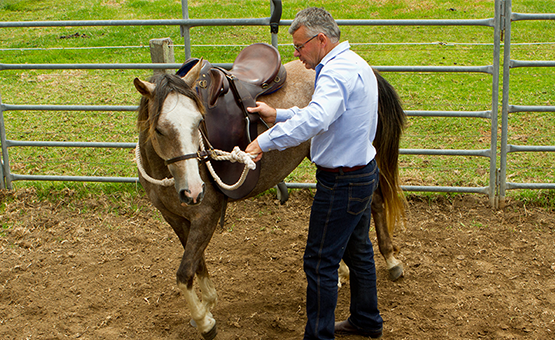 Bucking is not an excuse to inflict more terror and pain on a horse by roping his back leg and fighting with him until he falls to the ground. I don’t understand how this is accepted as ‘modern’ horse training. It saddens me to see such brutality condoned by Western Horseman magazine. On the several occasions I saw Ray Hunt work with horses, he also roped their legs when he had a problem. Just because Ray Hunt did something doesn’t make it right. It wasn’t right then and it’s not right now. It’s my opinion that far too much stress, terror and pain is inflicted on horses in the name of training. I realise everyone is entitled to their own opinion, but I’m talking about doing what’s best and easiest for every horse in every situation. I’m talking about training horses without chasing, bucking and fighting. 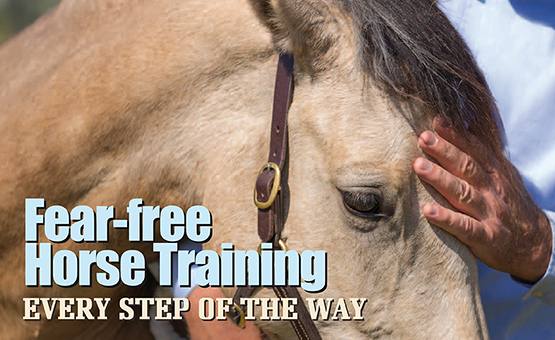 I’m talking about training in small steps that every horse can understand and accept. I’ve worked with thousands of horses over the years and started well over a thousand horses under saddle. I’ve started lots of horses and overcome lots of problems in front of crowds of people. I don’t mean that I chased a group of horses with a flag or a rope for three or four days, then went on to the next clinic. I personally rode every horse every day. For years on end I earned a living by riding horses all day every day. We all make mistakes and if you own horses you’ll make plenty. I know I have. 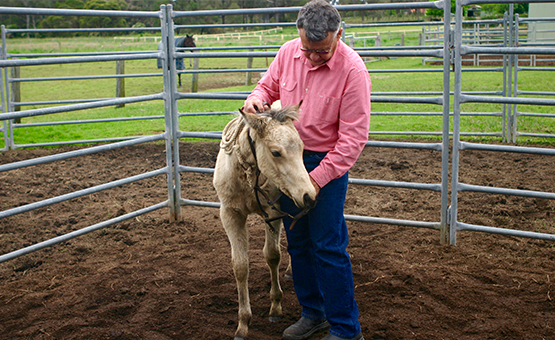 When we make a mistake and a horse bucks, kicks, bites or whatever, we must try to work out what we’ve done wrong and how we can avoid making the same mistake over and over. If we accept that some horses are ‘bad’ and will buck, kick or fight, we’ll never improve. Everyone should aim to have every horse confident and relaxed in every situation. Surely we owe our horses that much.